Round 2 of our Offensive Line focus brings us to Oakland and a review of the Raiders along with their hope for the 2019 season. For a look at Round 1 and the Arizona Cardinals, please click here! The Oakland Raiders were a fantasy wasteland in 2018. Derek Carr was the 18th QB after week 16 scoring a dismal 14.3 points per game according to FantasyPros.com. The Running Backs were dreadful. Marshawn Lynch only played in 6 games averaging 10.7 0.5 PPR points per game. After the Raiders’ bye in week 7, Doug Martin took over the lead back role and continued the mediocrity. He averaged 9.3 points per game. Finally, the Wide Receivers felt the pain of having an under-performing Quarterback. Amari Cooper was a disappointment until he was traded to the Dallas Cowboys during the Raiders bye week. That left Jordy Nelson, Dwayne Harris, and Seth Roberts to carry the load. None of them were up to the task. A large chunk of the failures can be placed squarely on the shoulders of Jon Gruden. Whether the misery was part of his master plan or a spotlight on how out of touch he was with the NFL in 2018, the team failed, in part, because of him. A second part of the offensive failures could also be placed with Offensive Coordinator Greg Olson, who has not had a successful campaign with any team in over a decade. Regardless of coaching, the team would not have had a successful offense due to the poor play of their offensive line. Kolton Miller and Brandon Parker combined for the most penalties by Tackles in the NFL. The line as a whole allowed Derek Carr to be sacked 51 times. That is not a typo. FIFTY ONE. Left Tackle Kolton Miller Trent Brown After a SB win with the Patriots in 2018, Brown moves to the Raiders and is currently the highest paid Lineman in the NFL. Left Guard Kelechi Osemele Kolton Miller Osemele moves to the Jets. Miller was terribly ineffective at LT. Moves to LG. Committed many penalties in 2018. Center Rodney Hudson Rodney Hudson One of the best Centers in the league in 2018. Right Guard Gabe Jackson Gabe Jackson One of the best Right Guards in the league in 2018. Right Tackle Brandon Parker Brandon Parker Tied for 10th in the NFL for penalties. Half of his were false starts. Tight End Jared Cook Lee Smith Cook went to the Saints. Current depth chart lists Smith #1. Uncertain if that remains after the draft. 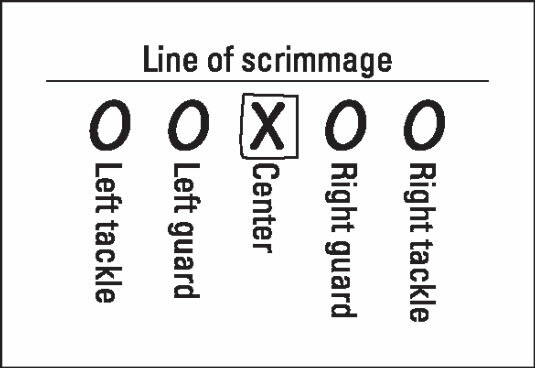 As mentioned above, the Tackle position for the Oakland Raiders was the weakest in the NFL in 2018. The Raiders made strides in the right direction. On March 13, the Raiders signed unrestricted free agent Trent Brown to the biggest contract for an NFL lineman. Trent Brown spent the 2018 season with the Super Bowl winning New England Patriots. He is a consistently healthy player that adds strength to the tackle. This will allow Kolton Miller to move to the Left Guard position. That loud noise you just heard was a sigh of relief from Derek Carr. When Miller wasn’t committing penalties, he was opening doors for the opposing defense. Removing him from the outside left is a smart move. This was a necessary move to give Derek Carr time to throw the ball to his newest targets. It will also improve the possibilities for whomever starts at Running Back in 2019. With consistency, strength, and leadership at the Left Tackle, Center, and Right Guard positions, the Raiders need to take a long hard look at their sophomore O-Line players (Kolton Miller and Brandon Parker). Their rookie seasons were awful. The Raiders spent some impressive draft capital on those two players in 2018. Kolton Miller was their first round pick (1.15) while Brandon Parker was the first pick in the 3rd round! They will not simply forget the talent that convinced the Raiders’ main office to commit those early picks. The truth is that the coaching staff is going to have to spend time developing the skills of those 2nd year players. While it is true that the Raiders have 11 picks including 3 first round picks, it is also true that they have severe needs at many defensive positions and at running back. One position of need which will have an impact on the offensive line is the Tight End. Lee Smith is great at pass and rush protection but in 8 full seasons in the NFL he has surpassed 10 targets in a season only 3 times. None were higher than 13 targets. The Raiders need an offensive presence at the Tight End position. Look no further than Noah Fant. Chad Reuter of NFL.com has Noah Fant going to the Raiders at pick 27 (Oakland’s 3rd pick of the first round). That same mock has T.J. Hockenson going to the Packers earlier in the draft. I did not see the Packers taking a Tight End there because they have more dire needs at other positions. However, some fellow writers at TheFFAnalysts.com agreed with the mock draft. “A lot of people see it as a possibility,” remarks @jplumm94. “I could see Hockenson at 12,” agreed @theFF_taters. With Hockenson off the board, the Raiders hand will be forced. Author’s note: Since the writing of this article, the Raiders have signed Luke Willson. This has to be a depth move. Willson is another Tight End that has never had fantasy relevance. He is quite good at run and pass blocking, though. The Tight End position will likely be taken care of early in the draft. Between that, the draft capital of the 2018 rookie offensive lineman, and the other team needs in 2019 it is quite conceivable that the Raiders will stand pat at the offensive line. At most, they may use a late round pick to add some depth. Recently, the Raiders signed Isaiah Crowell. After this signing, it is becoming clear that the improvements at offensive line do not appear to be completed to improve the run game. Crowell’s one year deal is an indicator that they are holding out until the 2020 draft class to fill the RB need. Instead, they will be focusing on Derek Carr and the passing game. They’ll need it. The Oakland defense gave up the most points to opposing offenses in 2018. There haven’t been any slam dunk free agency signings and their defensive issues will not be solved immediately through the draft. While the defense is in the midst of a rebuild, the offense will be playing catch up. Vegas odds has the Raiders winning 5 games in 2019. With the added firepower at receiver and the strengthening of the offensive line, the Raiders will be in more close games and could squeak out some additional wins through their passing game alone. The losses will likely include some garbage time points. What does this mean for fantasy? Derek Carr’s 2018 stats means he will not be drafted in most formats. However, I could see a likelihood that he will be a waiver wire target at times in 2019. He’s going to have production. He has talent and now he has a couple of high end targets in Antonio Brown and Tyrell Williams. Throw in the possibility of a new Tight End and Derek Carr has the potential to return to his Top 10 Fantasy QB stats. Speaking of those receivers, they will both be owned in most formats. Antonio Brown is currently the 7th Wide Receiver off the board at the 2.06 according to fantasyfootballcalculator.com. Tyrell Williams is going at the incredible fantasy value of the 14th round. Both should have very good fantasy years considering the pass protection of the offensive line and Derek Carr’s ability. If the pieces remain healthy, then Antonio Brown could remain a top 5 WR and Tyrell Williams could be a solid WR2 in fantasy. Don’t sleep on the Oakland Raiders. But, don’t overspend on them, either. We will certainly know more after the draft. Next Post N’Keal Harry: Possible WR1 of the NFL Draft?